The UAE has announced the federal government will mark Isra’a Wal Miraj this weekend. The country’s Ministry of Human Resources and Emiratisation said the Islamic holiday would fall on Saturday, April 14. This means no additional leave for workers with a Friday/Saturday weekend unless there is a further announcement. “The Federal Authority for Human Resources has issued a special circular on the holiday of Isra and Al-Maraj in the Federal Government on Saturday, 27 Rajab 1439H corresponding to 14 April,” according to state news agency WAM. Authorities in Bahrain and Kuwait have granted their workers an additional day off to mark the occasion. 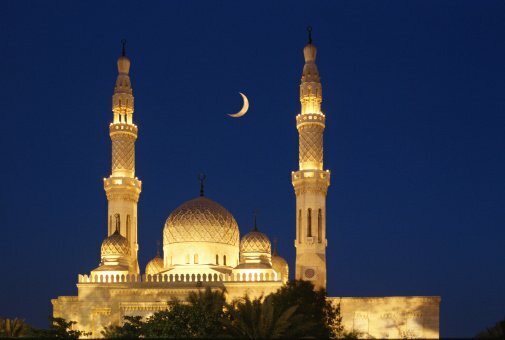 Bahrain said last week it would hold its annual Isra’a Wal Miraj ceremony on Thursday, April 12. Kuwait said on Tuesday it would give workers the following Sunday off instead, with a national holiday on April 15 – meaning a three-day weekend for some workers. Prior to the announcement, UAE authorities had already told bars and restaurants not to serve alcohol from 6:00pm on Friday, April 13 until 7:00pm on Saturday, April 14. Isra’a Wal Miraj, or ‘the Night Journey’, refers to a journey undertaken by Prophet Mohammed from Makkah to Jerusalem in one night. Last year, Isra’a Wal Miraj fell on Saturday, April 22. Both public and private sector workers in the UAE got the next day off under the country’s federal law, which allows public holidays to be moved to the beginning or end of the week.